Defense Secretary Jim Mattis says the U.S. could “take out” any North Korean missile launched at the country, and that such an attack would lead to war. Emails show DT campaign adviser tried to set up meeting with Russia. DT signs order for trade office to consider investigating theft of American intellectual property by China. DT releases his first reelection campaign ad. He has been in office for seven months. EPA plans to eliminate a rule limiting water pollution from coal-fired power plants. Useful chart. 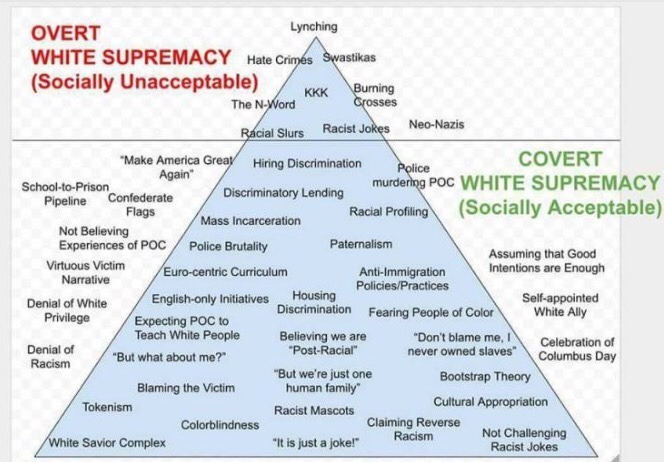 It’s easy (for most people other than Trump) to denounce racism when it’s as overt as a klan member, it’s a lot harder to acknowledge the invisible and socially acceptable ways white supremacy manifests across every part of American society.